Coveris, one of the world’s leading international packaging manufacturing companies, are renowned for making our daily products safer and more convenient with quality packaging solutions. These products protect the food we eat, the medical supplies we rely on, the smart phones in our pockets and more, improving the lives of millions around the world. 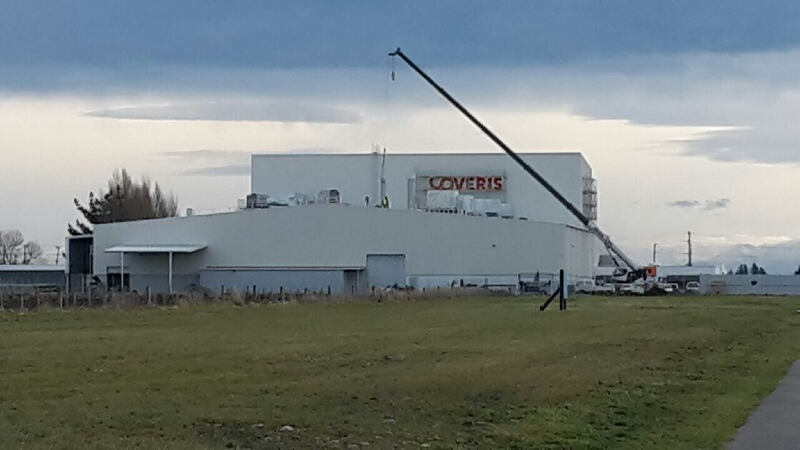 Upon the opening of their new factory in Christchurch, New Zealand, Coveris decided to install a new extrusion tower, laminator and printer to ensure their facilities continued to improve. Quality extraction was therefore essential, so that the new equipment could run to the standard that Coveris adhered to in all the work they do. 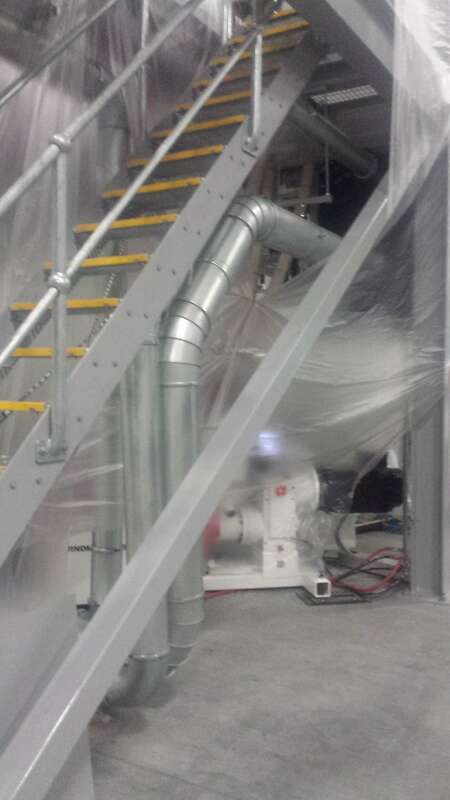 Airtight Solutions was commissioned to supply and install all required extraction ducting for the new pieces of equipment, as well as ducting for all other aspects of the factory. 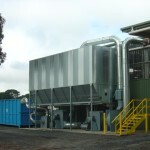 The extrusion tower presented a particular challenge as it required ozone treatment. 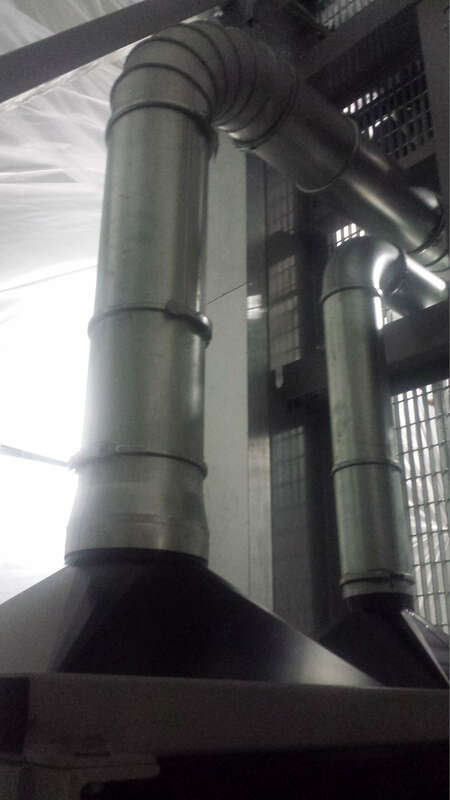 Ozone is known to be highly corrosive, so Airtight used only stainless steel to construct the ducting, which reached 22m in height. 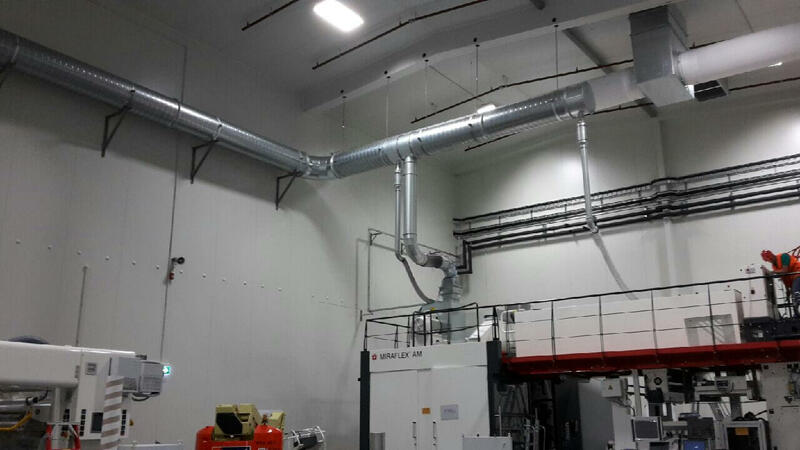 Airtight also used their fume extraction expertise to ensure the printer and extrusion tower’s fumes are appropriately managed.